Everyone involved with Inspired Living is a volunteer. Read on below to find out a little more about us. 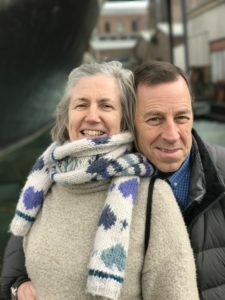 This husband and wife team are responsible for kick starting the 2019 ride, spurred on by wanting to do what they can to raise funds for CRUK. It is true to say that without them there would be no fundraising ride. As in previous years, they will no doubt demonstrate their organisational skills together with boundless energy and enthusiasm for the project. I was one of the founders of Inspired Living in 2009. Back then I was just trying to help a friend who had lost his wife to cancer, to raise funds for CRUK so they could develop the cure to cancer, which is such a terrible illness. Last year, my wife Alison died from a soft tissue sarcoma, this is a lesser known form of cancer and one for which there are very few treatments. Although we got excellent service from the doctors and nurses, there came a time when there was nothing more they could do, so we were referred to the Countess Mountbatten Hospice for palliative care. A few weeks later, Ali was taken to the hospice and spent her final hours surrounded by friends and with myself and our two daughters at her bedside as she passed away peacefully. Although the final weeks went far too quickly, the care we received from the staff at the hospice was amazing and I came to fully appreciate that for all the work done by CRUK and similar teams in looking for cures, for some people the treatment does not work and they need to be cared for in different ways. This has reinforced my resolve for this ride, to recognize the need to raise funds not only for research, but also for those who provide care and support while we wait for the research to succeed. We are all volunteers working on this in our free time and need your help to achieve our aims. So I’d like to thank you in advance for any support or assistance you are able to offer to us. 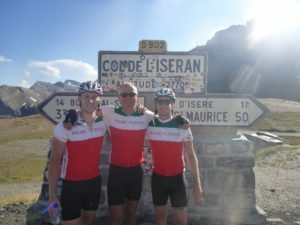 I initially joined the team on a secondment from BT (who were supporting Inspired Living at the time) to Project Manage a mass ride fundraising event in 2010 but have became personally involved thereafter. I have participated in all 5 of the long marathon rides, the last being tor Rome in 2016. We have become a group of very good friends, most of whom have been affected by Cancer ourselves or through family and friends. We have also created a brilliant family environment whereby our sons and daughters have been able to join us in the events, and this has made fundraising for CRUK more meaningful. My daughter Laura has helped with fundraising, whilst my son Tom has joined me on the last 4 continental rides. I must say all the rides with the Inspired Living team have been great experiences and the camaraderie has been wonderful. As a Hampshire County Councillor I am using this experience to promote more children participation in cycling in the Test Valley area and look forward to the Barcelona ride which will make my 70th birthday celebration. 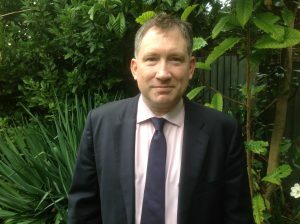 Barnaby is a Chartered Accountant who worked for IBM for over 25 years as a Commercial Manager on IT Outsources. He is an unlikely road cycling enthusiast for whom the Winchester to Gibraltar, MonteCarlo and Rome rides were for him the best of times, with the best of people. Barnaby tracks and pays the ride costs and versus rider contributions and corporate sponsorship. He provides the annual reporting to our supported Charities and he processes any donations that go through the groups own accounts. The vast majority of fund raising is done through on-line sponsorship of the riders with funds going direct to our supported charities.